Milton Academy is a huge supporter of the Amy Foundation. They are currently in the 2nd month of school and they have already had several performances. One of those was connected with a photo exhibit by Frances Scanlon. Here is a link Ubuntu: Milton Academy South Africa Tour Images to her show and to the Milton Academy South Africa tour alumni concert. There are several photos from Human Rights Day hosted by the Foundation. Please also have a look at the 2017 South Africa tour video. 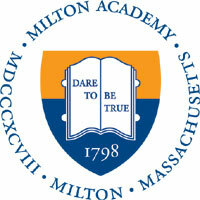 Thank you Milton Academy for your ongoing partnership.